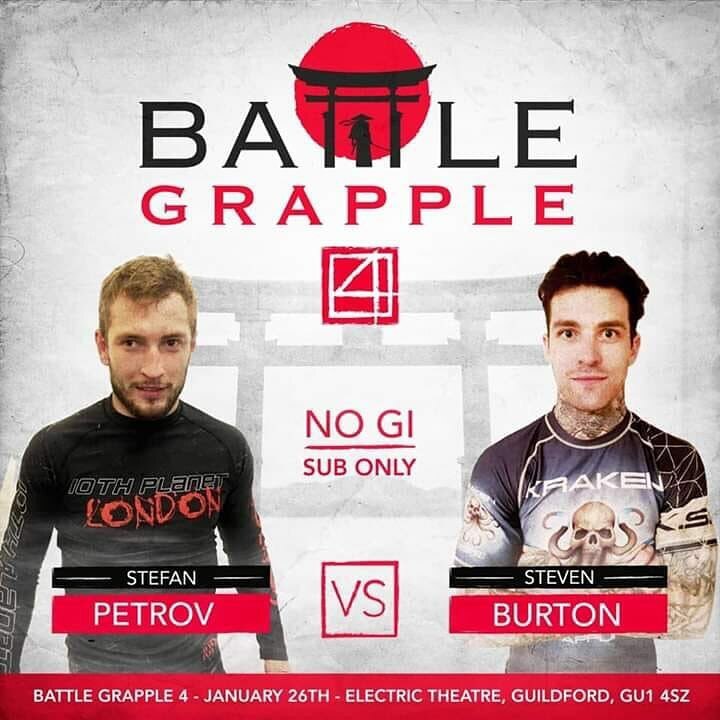 At 26.01.2019 Stefan Petrov made his next professional grappling performance at 26.01.2019 Battle Grapple 4 in Guildford, UK. Stefan was pressuring, while his opponent was using defensive strategy. The match being a Submission Only contest ended up in a draw.